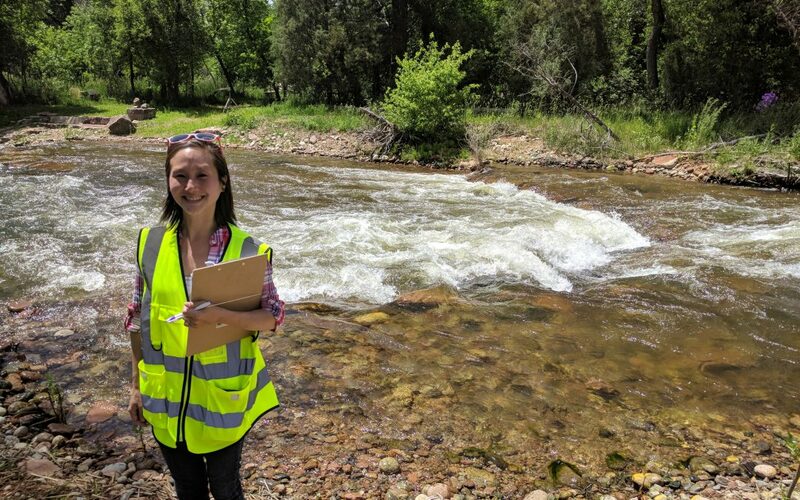 Erika Shioya is the watershed coordinator for the St. Vrain Creek Coalition. Five years ago torrential rain in northeastern Colorado resulted in historic floods that lead to loss of life, destroyed homes and infrastructure and resulted in the evacuation of the entire towns of Jamestown and Lyons. After the 2013 floods, the state of Colorado determined that it wanted to recover the areas and the rivers in a more resilient manner. That resulted in a number of watershed coalitions, including the St. Vrain Creek Coalition. “The North St. Vrain was one of the hardest hit areas within the St. Vrain Watershed maybe even the Front Range.” In this single stretch along Apple Valley Rd. Boulder County purchased 13 of those properties because they were more than 50 percent damaged after the flood. 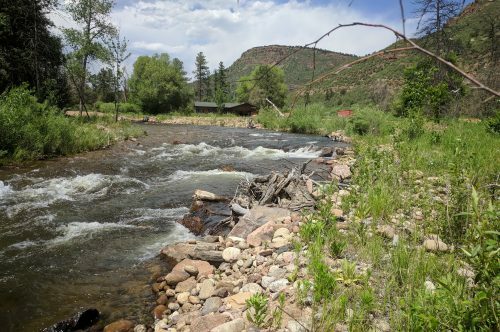 The St. Vrain Creek Coalition has been working on extensive bank stabilization as part of the flood recovery efforts, using plants and bioengineered structures like tree trunks. They have also been involved in the creation of floodplain benches. Further upstream there are riffle-like structures. Riffles consist of fast, turbulent water running over rocks. They can be naturally occurring or man-made and they are important habitat for fish. The North St. Vrain was one of the hardest hit areas within the St. Vrain Watershed. In this single stretch along Apple Valley Road, Boulder County purchased 13 of those properties because they were more than 50 percent damaged after the flood.